January blues, be gone, the 2019 Edinburgh Summer Session 2019 lineup has been revealed and it's a belter. 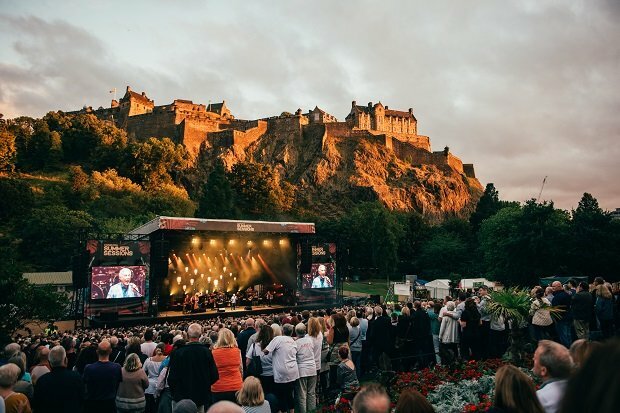 Trailblazing female talent and iconic greats come together for this year's summer spectacular at Edinburgh's Princes Street Gardens. Tickets for the shows are available at 9am Fri 1 Feb. The festival returns for its second year this forthcoming summer, kicking things off with a double helping of Florence + the Machine on Wed 7 and Thu 8 Aug. Welch and her band released their fourth studio album High as Hope in 2018, which spawned singles 'Sky Full of Song', 'Hunger' and 'Patricia'. Fans can expect to hear tracks from the new record, as well a those from 2009's Lungs, 2011's Ceremonialand and 2015's How Big, How Blue, How Beautiful. Scottish rock brand Primal Scream and Johnny Marr make up the bill for the second show on Thu 8 Aug. Fronted by Bobby Gillespie, Primal Scream have been rocking since 1982 and will bring much loved classics such as 'Moving On Up' 'Higher Than the Sun', 'Loaded', 'Country Girl' and 'Rock' to the Princes Street Gardens' Ross Bandstand. Founding member of legendary group The Smiths, Johnny Marr will also perform. He is now on his third solo album, Call The Comet, which was released last year. CHVRCHES will work the crowd on Sun 11 Aug. The band recently released their third album, Love Is Dead, which features collaborations with the likes of The National's Matt Berringer and Greg Kurstin. Manchester rock band James perform on Thu 15 Aug. The seven-piece made a comeback last year with album Living In Extraordinary Times. Following this, indie rock trio the Courteeners perform on Fri 16 Aug. The band released St. Jude Re:Wired, a reworked version of their debut album to last year in celebration of its 10th anniversary. Fans will no doubt get to relive the album's hits like 'Not Nineteen Forever', 'You Overdid It Doll' and 'Are You In Love With A Notion?' live in Edinburgh this summer. Rounding of the string of shows are ska icons Madness on Sun 18 Aug. These guys continue as an unstoppable force celebrating their 40th Anniversary in the biz this year. Suggs and the gang are said to be in the studio working hard on new music, which is set to be released later this year. Tickets for Edinburgh Summer Sessions go on sale at 9am Fri 1 Feb.